Thrombosis is common in cancer patients and is associated with increased morbidity and mortality. Myeloproliferative neoplasms (MPN) are common malignancies in elderly individuals and are known for a high incidence of thrombotic complications. Different risk factors have been identified in studies, and risk models have been developed to identify patients with MPN at higher risk for thrombosis. Several pathophysiological mechanisms help explain the increased likelihood of thrombosis in these patients. Factors, such as leukocyte and platelet activation leading to the formation of leukocyte–platelet aggregates, activation of the coagulation cascade by microparticles, high levels of inflammatory cytokines, and endothelial dysfunction have a crucial role in thrombosis in MPN patients. 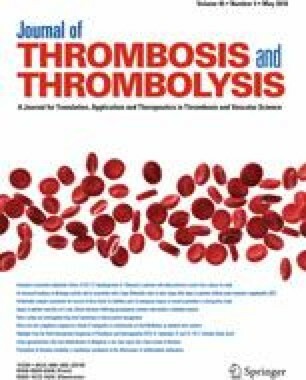 Recent studies have demonstrated a significant association between the allele burden of specific genetic mutations (mainly JAK2V617F) associated with MPN and the incidence of thrombotic events, thus suggesting a possible role for these mutations in thrombogenesis.